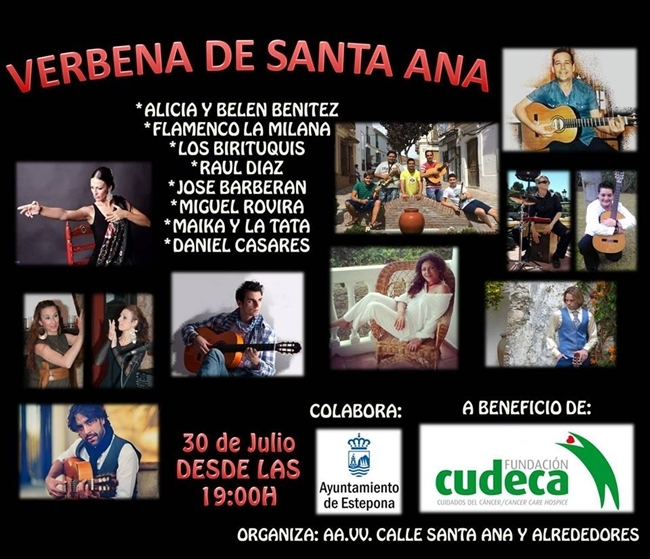 The residents of Estepona’s Calle Santa Ana have organised a benefit festival to raise funds for the Cudeca Cancer Charity which will be held in and around Calle Santa Ana on Saturday 30 July beginning at around 7 pm. There will be live music and dancing including performances by Alicia and Belén Benítez, Flamenco la Milana, Los Birituquis, Raúl Díaz, José Barberán, Miguel Rovira, Maika and Tata, along with a concert by the word famous flamenco guitarist Daniel Casares. Entry is free with funds raised by the local bars and restaurants going to Cudeca. 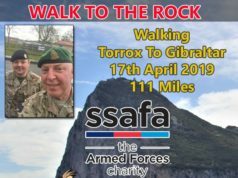 Eat and drink for charity, what a great excuse!